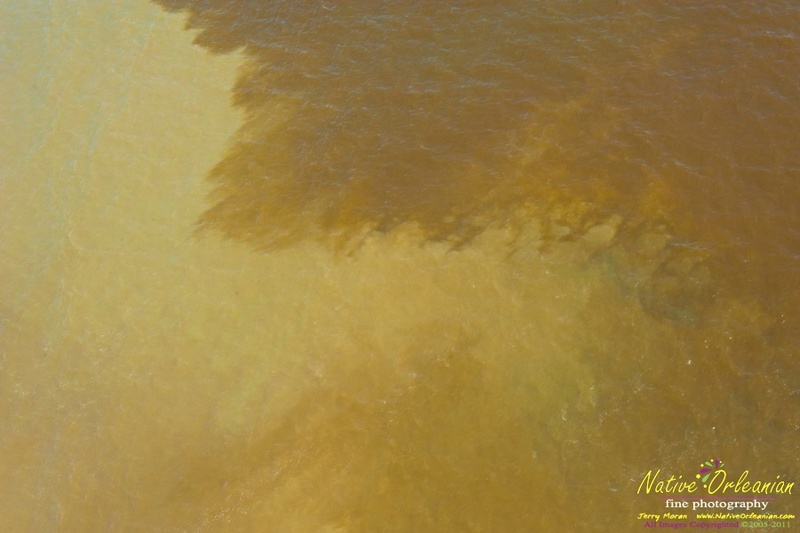 The U.S. Coast Guard is currently investigating reports of a potentially massive oil sheen about 20 miles away from the site of the Deepwater Horizon oil rig explosion last April. Bonny Schumacher, from ‘On Wings of Care’, Jerry Moran and others are in the air and will report to us on the situation as it develops. Sources have confirmed the approximate size of the slick and that skimming operations have been under way for at least 24 hours now. The suspected source is the Matterhorn Mc243 facility only about 25 miles from where BP’s Macondo well spewed more than 200 million gallons of crude into the Gulf last year. Photographs taken by “Native Orleanian Photography” and Jerry Moran. >Has there been any further news on this 2nd spill? I'm looking all over but all the reports were from March 19th or 20th, and after that there is nothing! 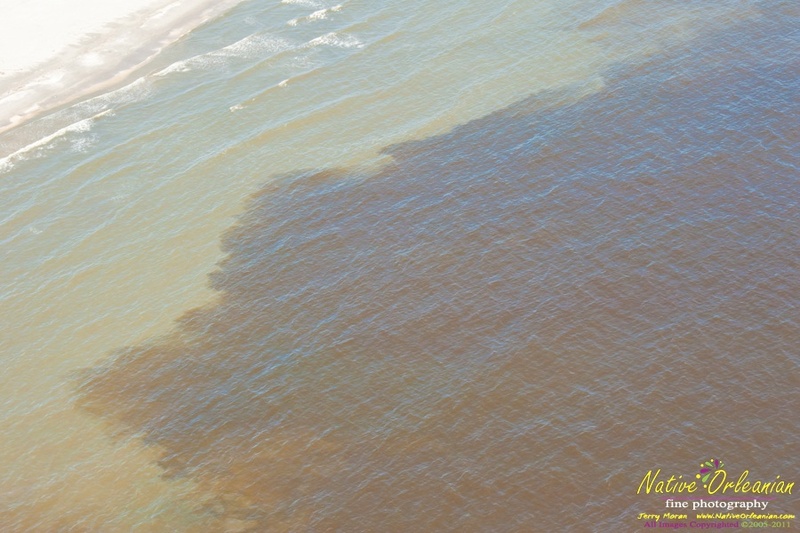 >I saw a report that claimed that this oil has all be cleaned up (right), and that any oil coming up into the marshes is BP Oil from last year. I will be arriving in the Gulf tomorrow and hopefully will have the opportunity to check it out for myself – and I'll definitely be posting about it here.